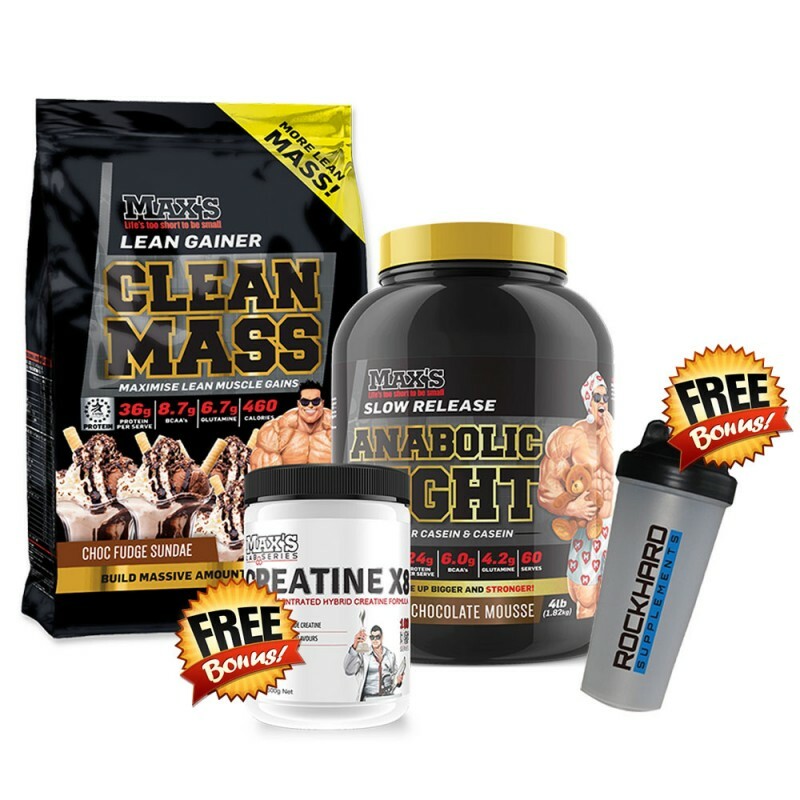 Clean Mass by MAX'S is the all new reformulated and repackaged mass gaining protein powder to hit the shelves here at Rock Hard Supplements and Australia wide. 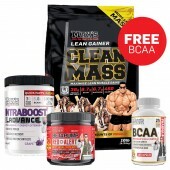 The all new Clean Mass uses the New Zealand Fonterra protein blend which is the highest quality, most purest form of Whey Protein in the world. The new tubs and new formula by MAX'S ensures highest quality products with the same amazing taste we all know and love. The old thinking – to make decent gains you had to bulk up, build muscle but add lots of fat, and then diet down to show your new gains. Now science tells us that there is a better way. The right balance of high quality protein and good carbs will stimulate lean muscle without adding lots of unwanted fat to your physique. To build quality muscle you need carbs to fuel the process – they are your catalyst for gains. But too much carbohydrate intake starts pushing the balance to adding fat, so you must get the balance right. And it turns out that optimum ratio is 2:1, two parts good carbs to one part quality protein. 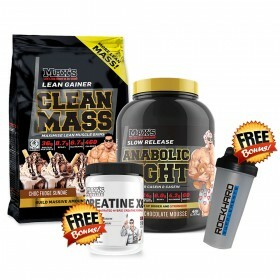 To build quality lean mass you need to keep this ratio constant with your food intake and your supplement program. 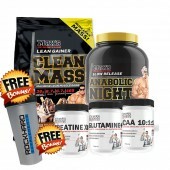 MAX’S Clean MASS provides the perfect carb to protein ratio to build a lean and muscular body. Clean MASS provides our sustained release GlycoForce Carb System with our fast, medium and slow release A-bolic Protein Blend in a 2:1 ratio. To help support maximum msucle-building we also add specific nutrients that fuel recovery and stimulate protein synthesis. 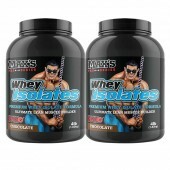 of Whey Protein in the world. 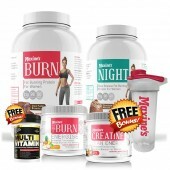 The new tubs and new formula by MAX'S ensures highest quality products with the same amazing taste we all know and love. Stages 3 – 4: During these stages you move into deep sleep or slow wave sleep lasting between 10 and 30 minutes where brain activity decreases and your body begins restoring itself mentally and physically. Stage 5: REM or Rapid Eye Movement Sleep, where you brain becomes more active and you dream. REM sleep can last from 5 minutes anywhere up to an hour and your body and mind continue to replenish their reserves through this stage. During a night’s sleep your body will cycle through stages 3, 4 and 5 several times, and it is these stages where you are properly rested and most muscle-building occurs. The quality of sleep during these stages has a direct impact on the amount of muscle you will build. More good quality stage 3, 4 and 5 sleep means greater muscle gains, but only if you have a ready supply of protein in your system. Recommended Usage – Take 1 serve about 30 minutes before bed. For a fat stripping program add one scoop to a blender or shaker with 200 – 250 ml of water and mix for 20 seconds until completely dispersed. For a mass building program add 1 – 2 scoops in 500ml of milk. MAX'S Creatine X8 contains eight different forms of Creatine, plus supporting co-factors, which is why MAX’S Creatine X8 continues to set the standard for Creatine formulas. Each Creatine hybrid has a different absorption speed and different entry point into your muscle’s energy cycles. 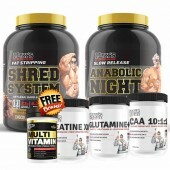 The result – fast and sustained release for maximum energy and unbelievable muscle gains. 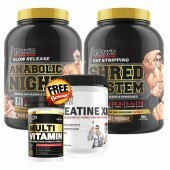 The Science Creatine is used by muscle cells to store energy for explosive exercise like weight training and sprinting. Creatine X8 will maximise your muscle’s Creatine stores. Because the 8 different forms of Creatine are absorbed and utilised at different points and rates, you get maximum possible levels to power even the most intense training for fastest muscle-building. 1. Creatine Ethyl Ester is a highly soluble form of Creatine that uses the fat transport mechanism of muscle cells to enter quickly to replenish muscle Creatine stores. 2. Tri-Creatine Malate is a new form of Creatine that can enter the Krebs Cycle (The process that synthesizes the high energy compound – ATP) faster than traditional monohydrate to maximise energy for training. 3. Di-Creatine Malate is a slower absorbing version of Tri-Creatine Malate to enhance the sustained release properties of Cre8 Carnage. 4. Micronised Creatine Monohydrate has been scientifically proven to increase lean body mass, muscular strength, endurance and overall athletic performance. 5. Creatine HCL is a stable acid salt of Creatine and is a medium absorption hybrid. 6. Creatine Anhydrous is the most pure form of Creatine and is not bound to other transport molecules giving it a slower absorption time – ideal for a sustained release formula. 7. Creatine Gluconate is Creatine bonded to Glucose. This improves Creatine’s intestinal absorption as it is absorbed in a manner similar to regular glucose, a fast-digesting sugar. 8. Tri-Creatine Orotate delivers a 3:1 molar ratio of Creatine to Orotic Acid. Orotic acid is a precursor to Carnosine and helps make Creatine more available to boost cell levels of Creatine Phosphate. Plus Supporting Co-Factors: • Beta Alanine & Histidine combine to form Carnosine. Carnosine is a powerful buffer that reduces lactic acidosis (the production of Hydrogen Ions) which causes muscle fatigue and stops you squeezing out those last few reps. • Arginine Alphaketoglutarate stimulates Nitric Oxide release. NO is a vasodilator, it relaxes the smooth muscle that line arteries to increase blood flow. More blood flow means the nutrients in Cre8 Carnage are delivered to muscle cells faster for even better results. Made in Australia from local and Imported Ingredients . MAX'S NAGG should be consumed in conjunction with a nutritious diet and suitable exercise program. Not to be used as a sole source of nutrition. Not suitable for children under the age of 15 or pregnant women. Should only be used under medical or dietetic supervision.